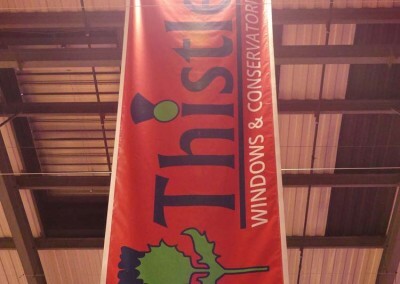 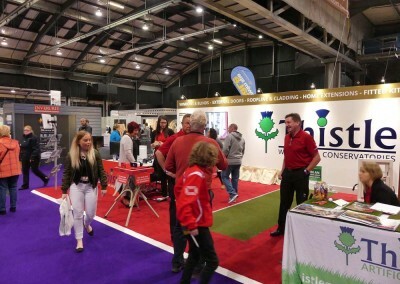 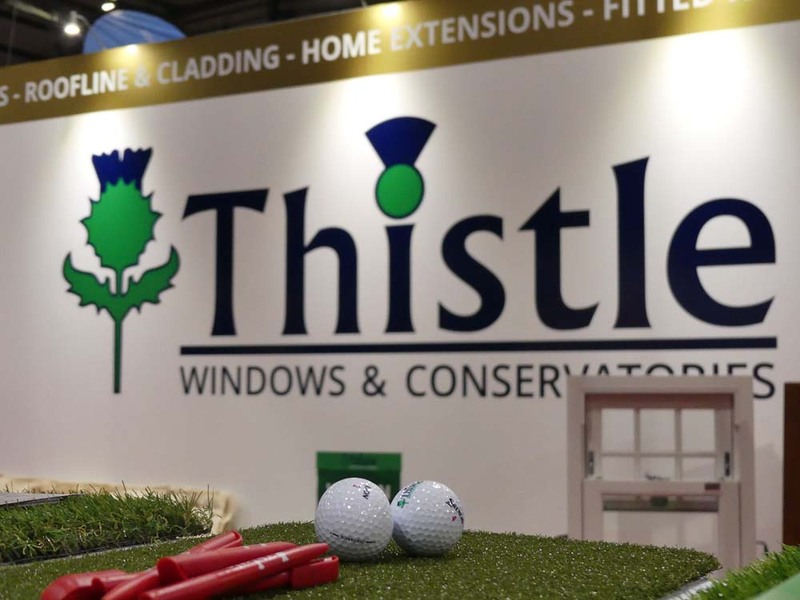 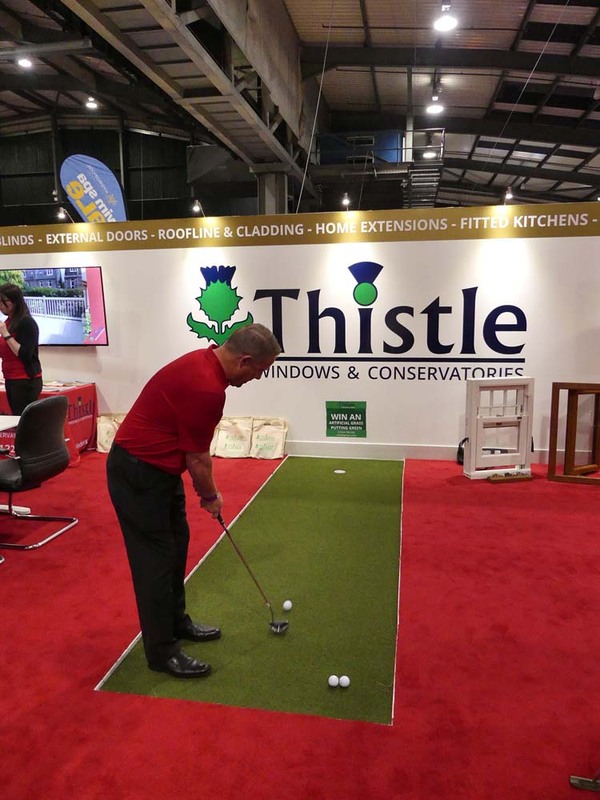 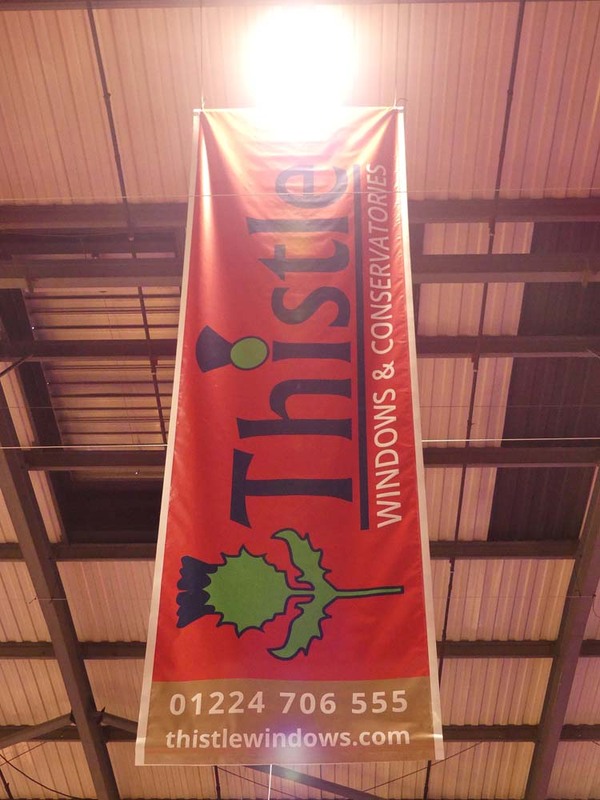 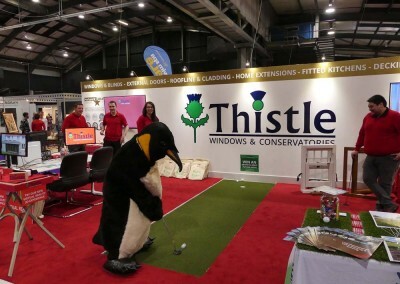 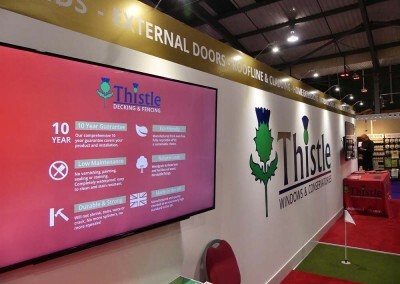 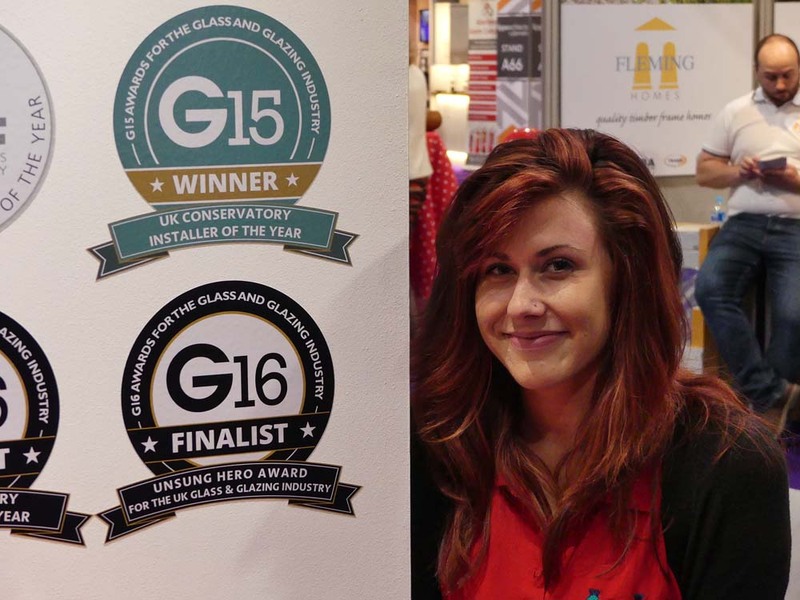 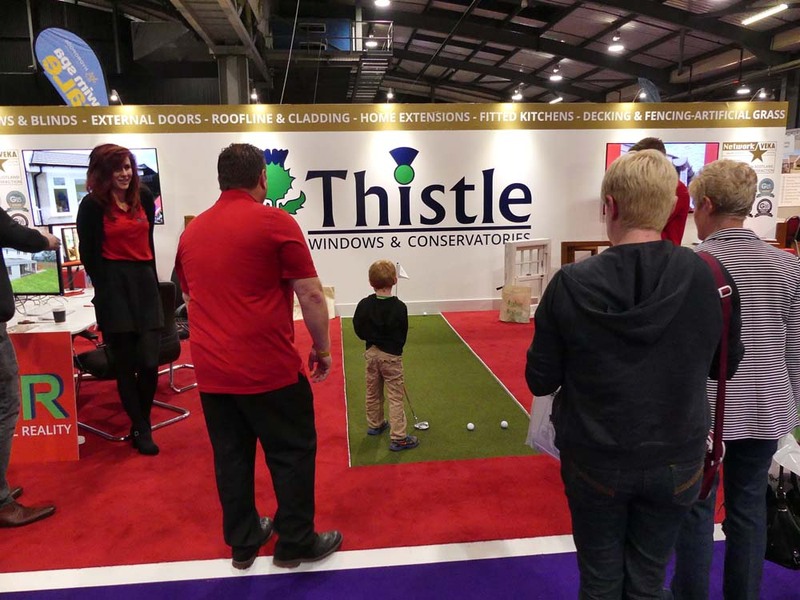 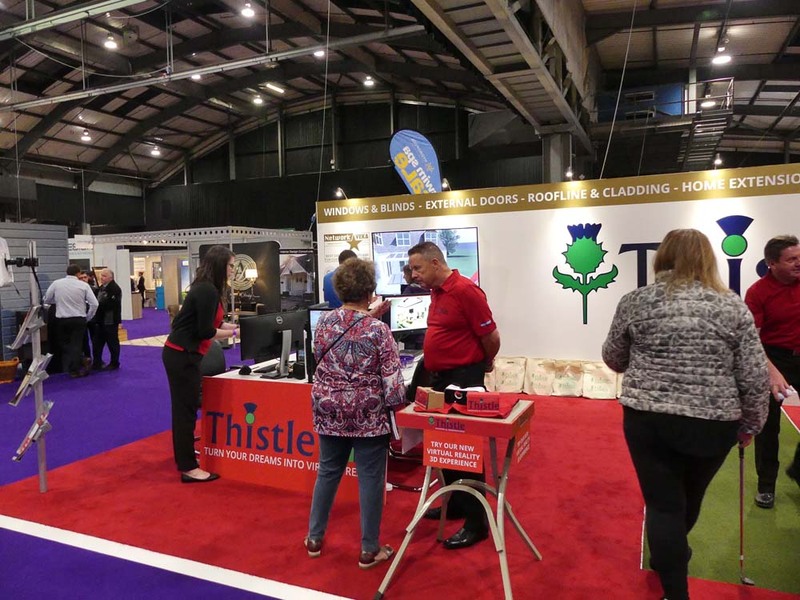 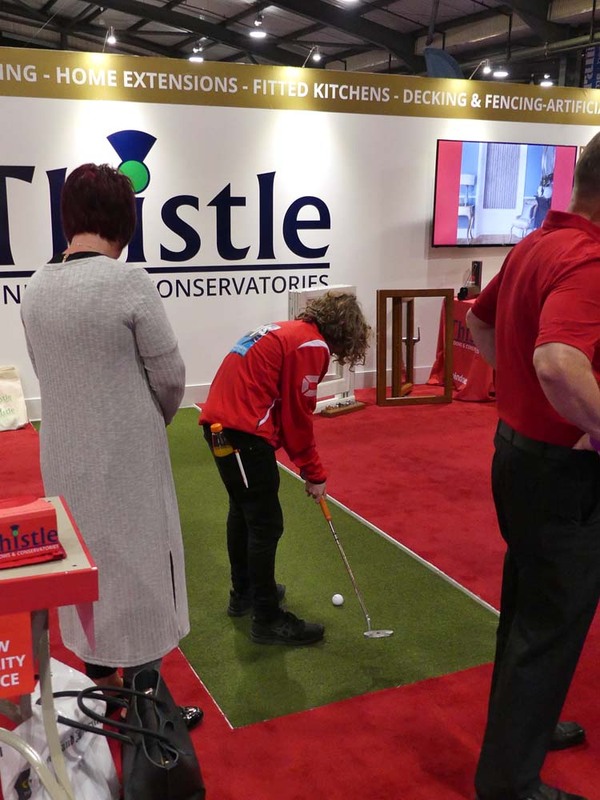 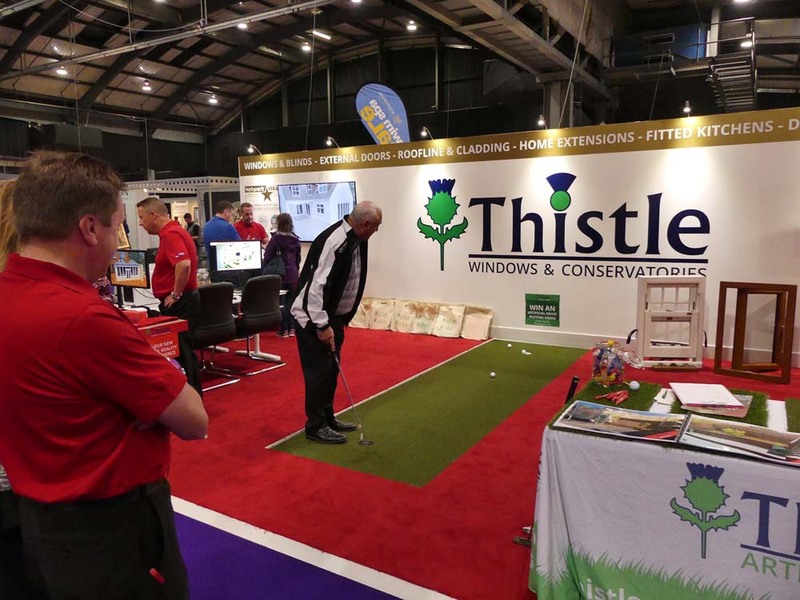 Thistle Windows & Conservatories would like to thank everyone who took the time to visit our stand at the Scottish Home Show 2016, which ran from Friday 23rd to Sunday 25th September. 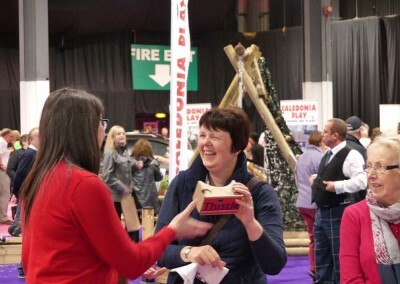 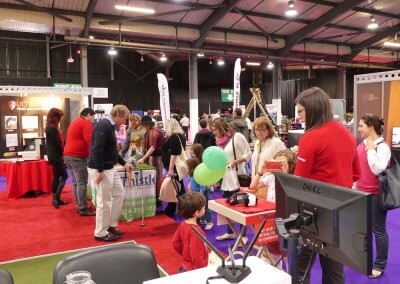 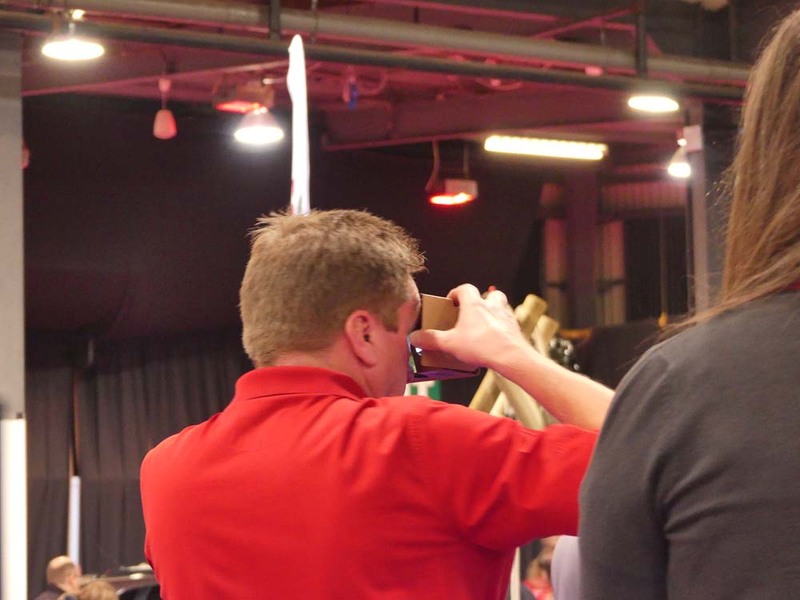 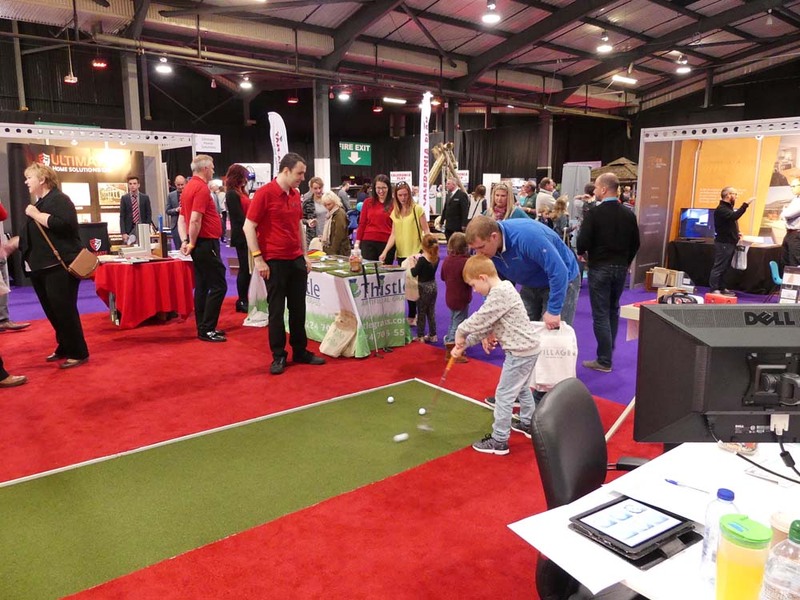 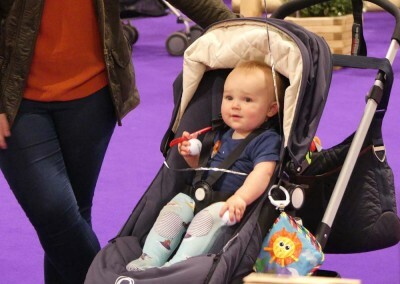 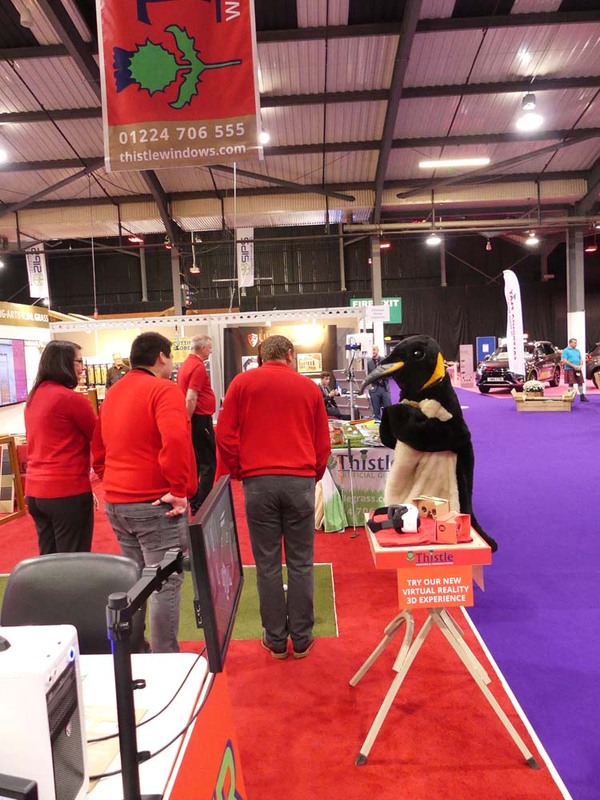 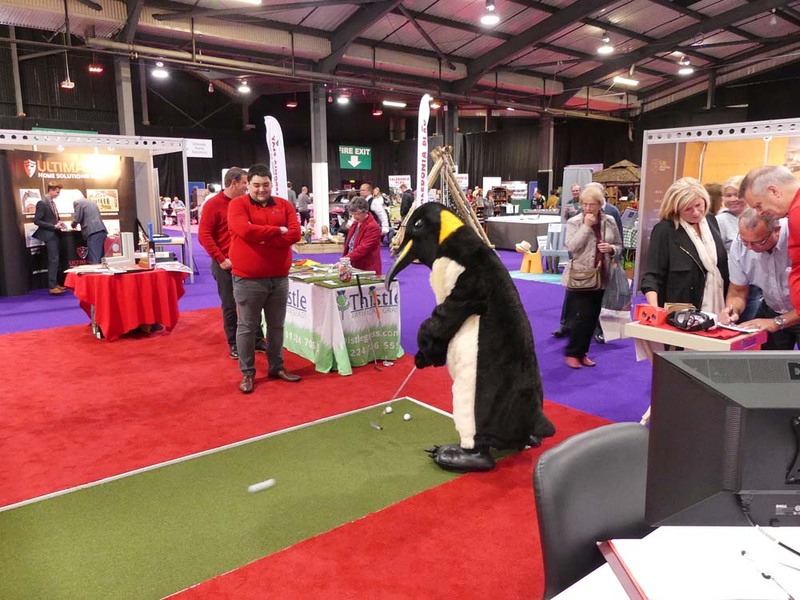 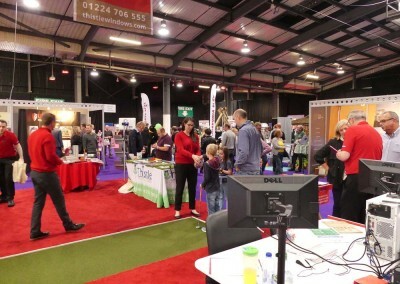 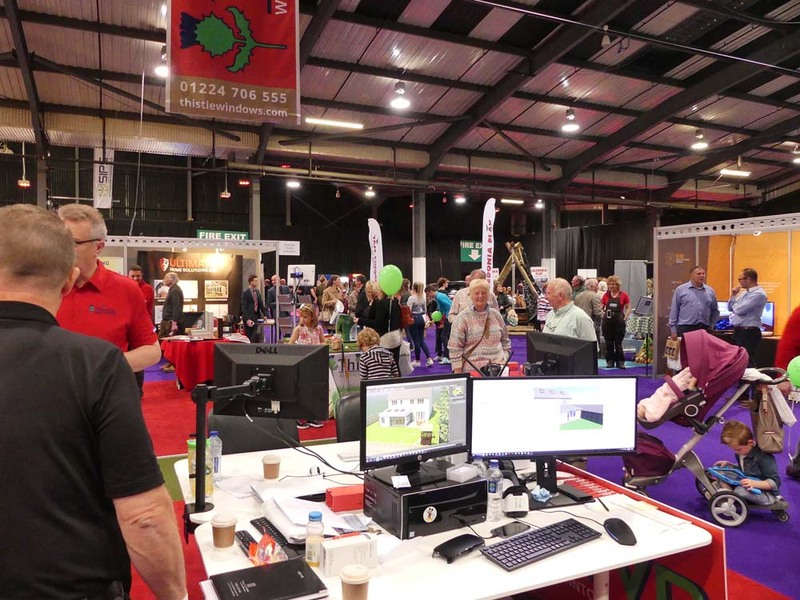 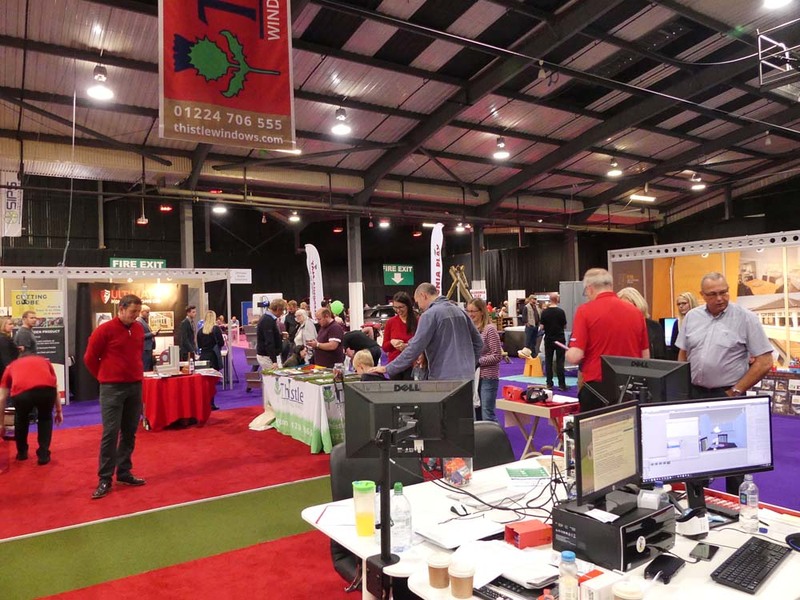 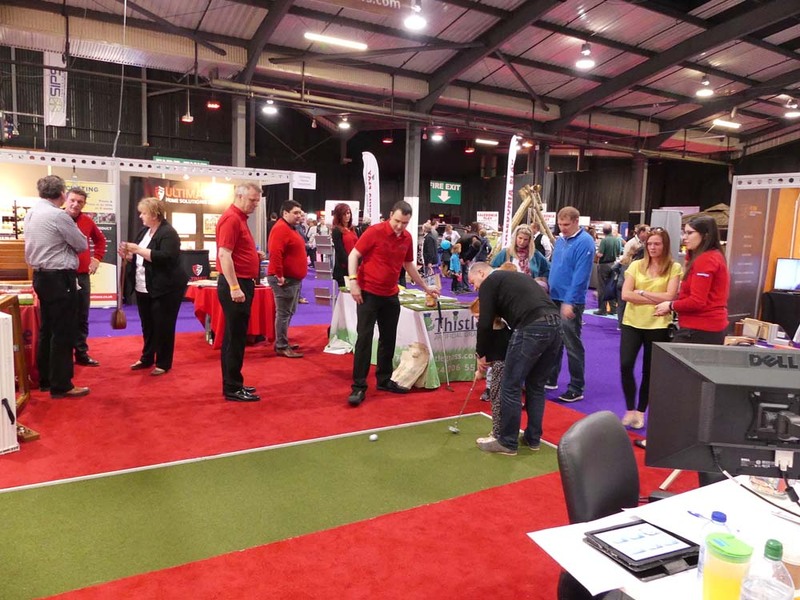 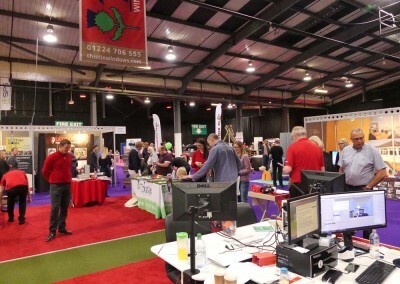 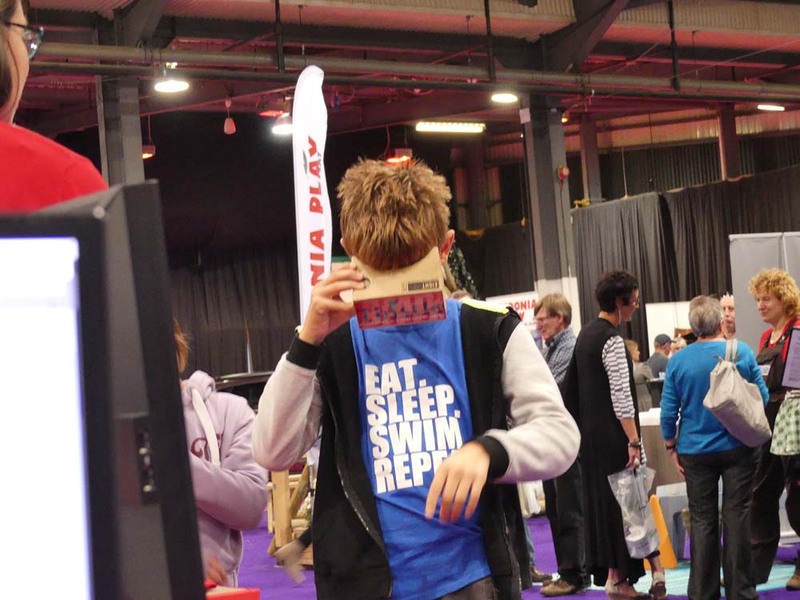 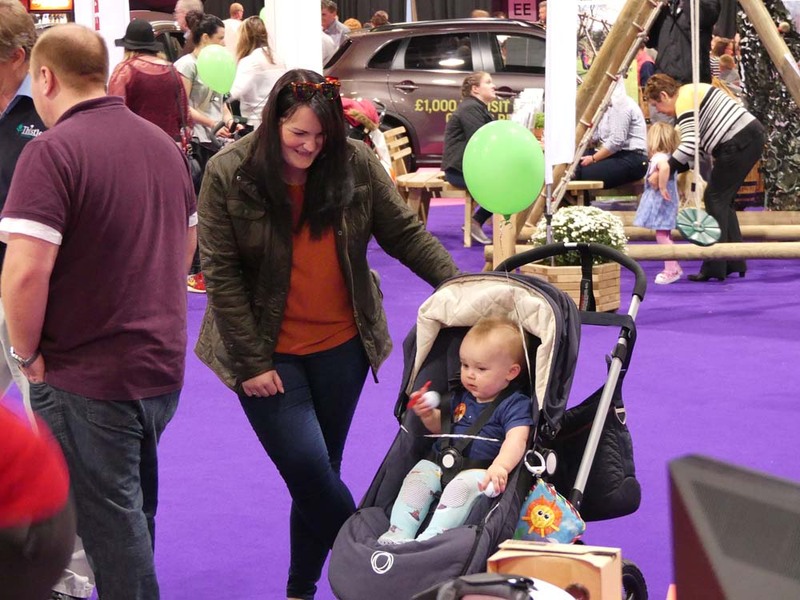 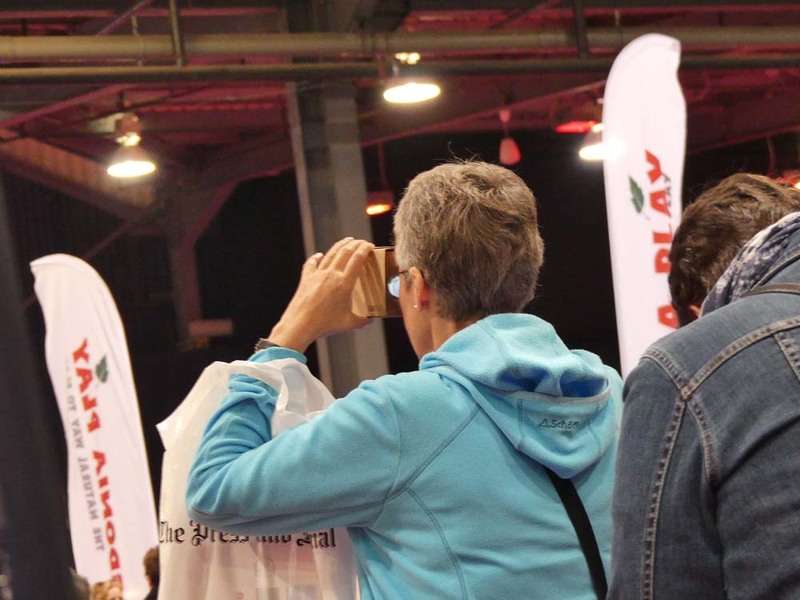 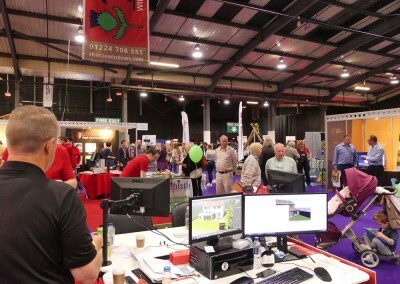 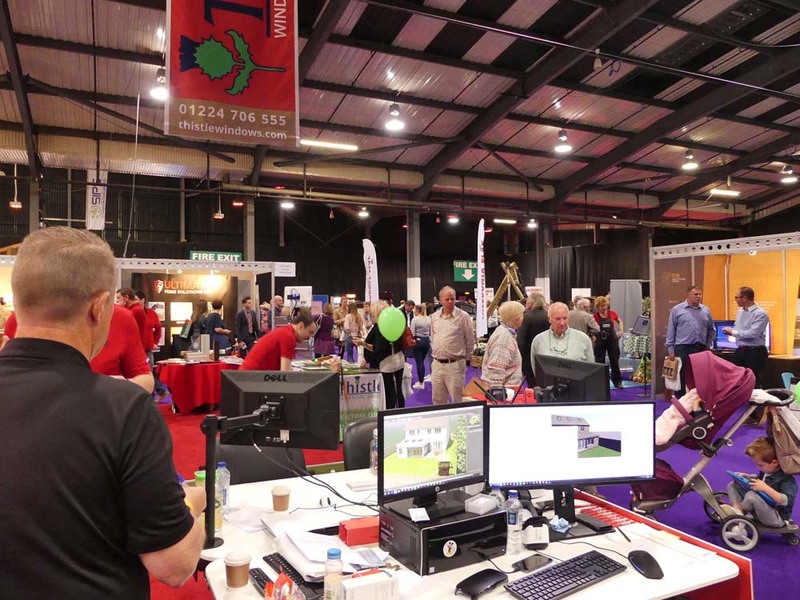 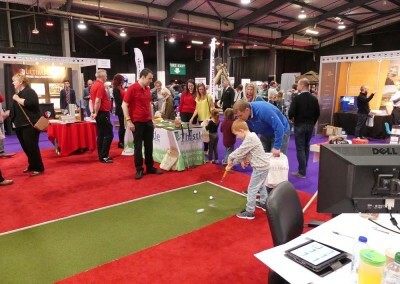 2016 marks the fifth year of the annual weekend-long event which drew in thousands of visitors to the Aberdeen Exhibition and Conference Centre (AECC). 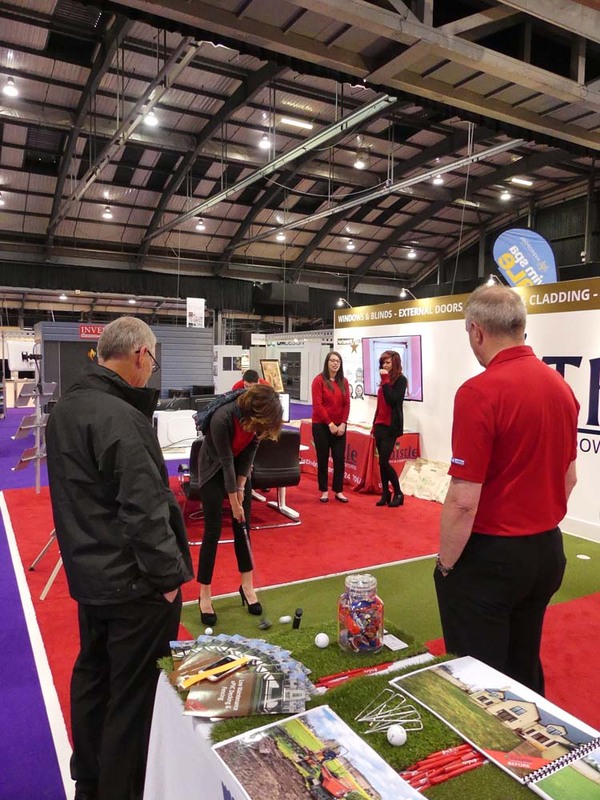 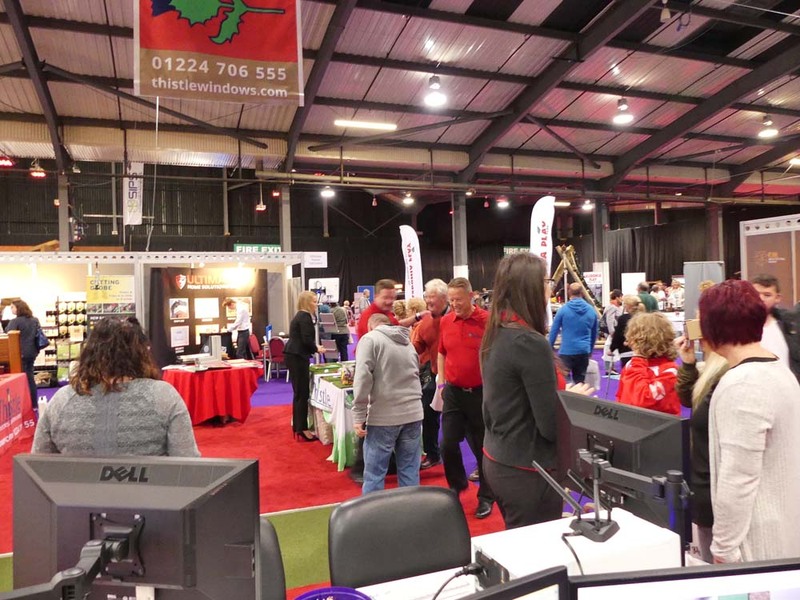 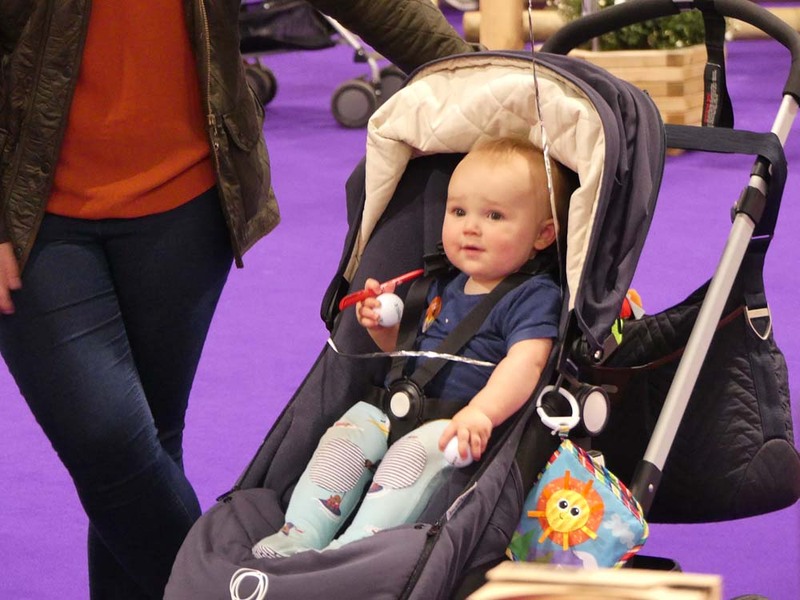 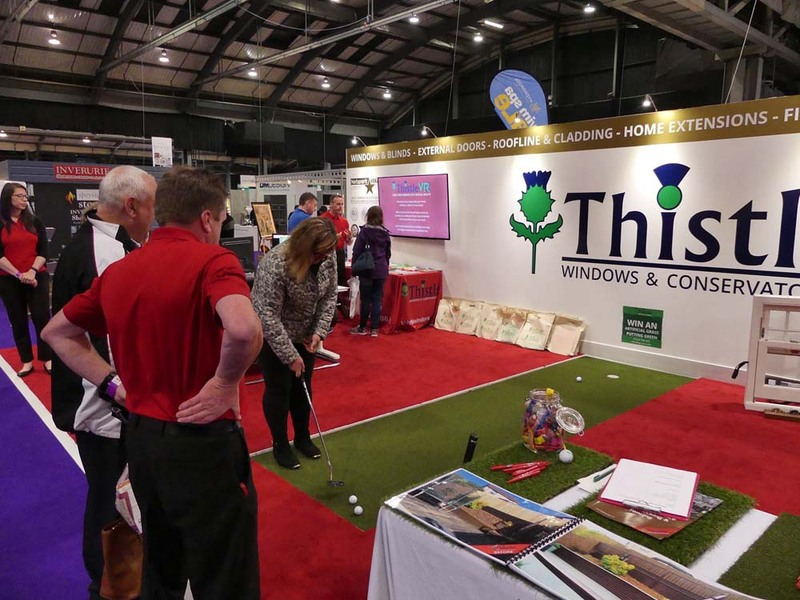 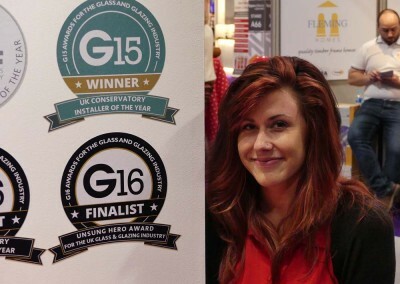 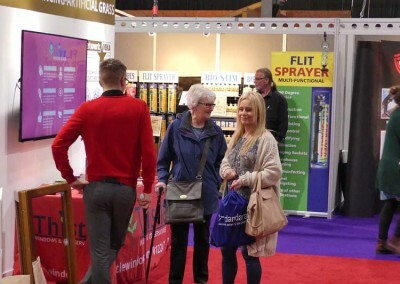 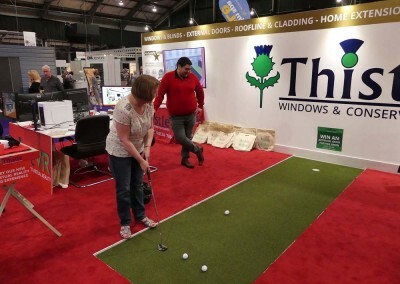 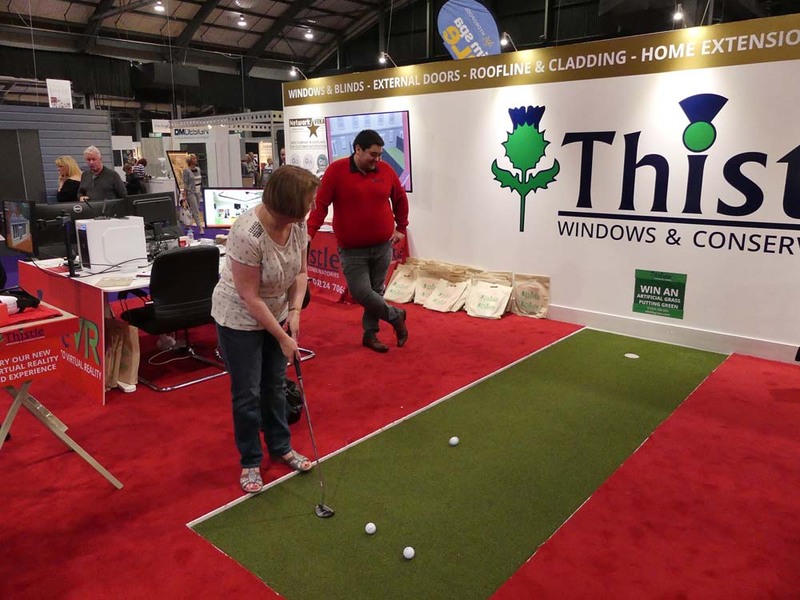 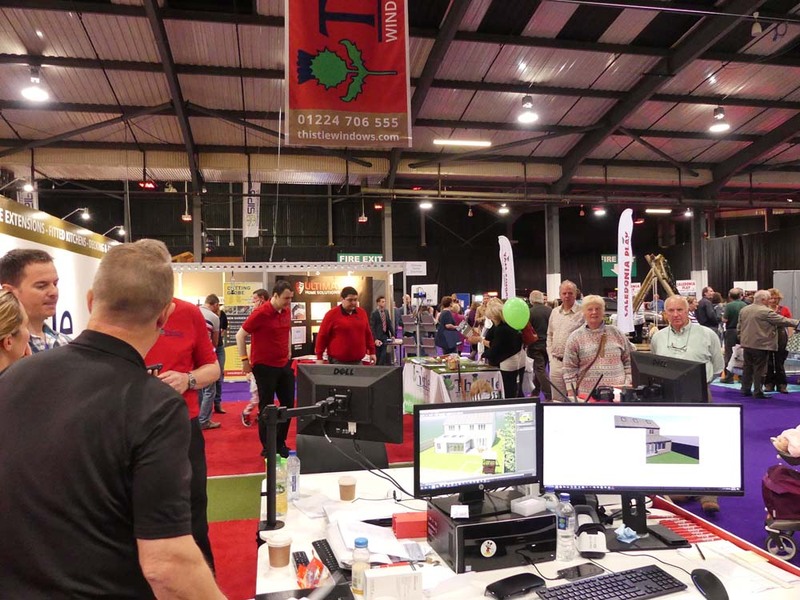 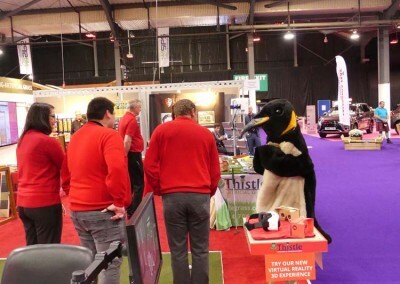 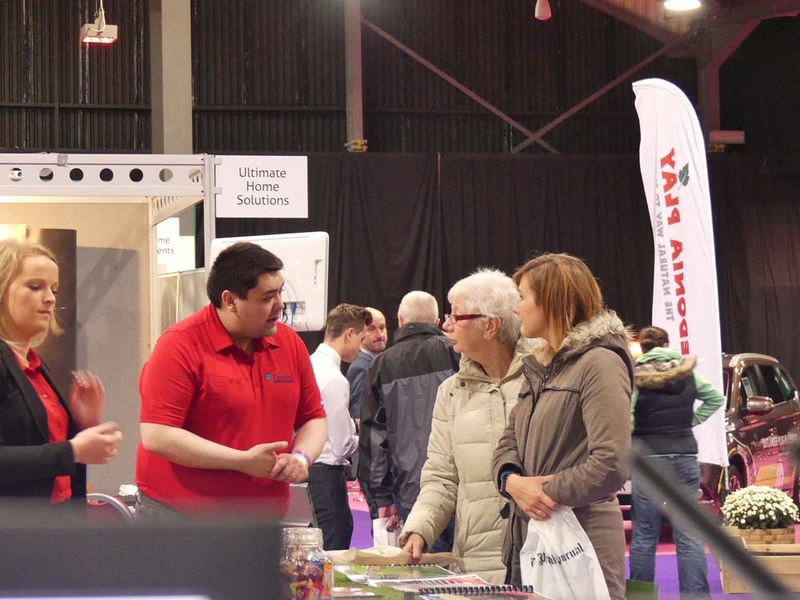 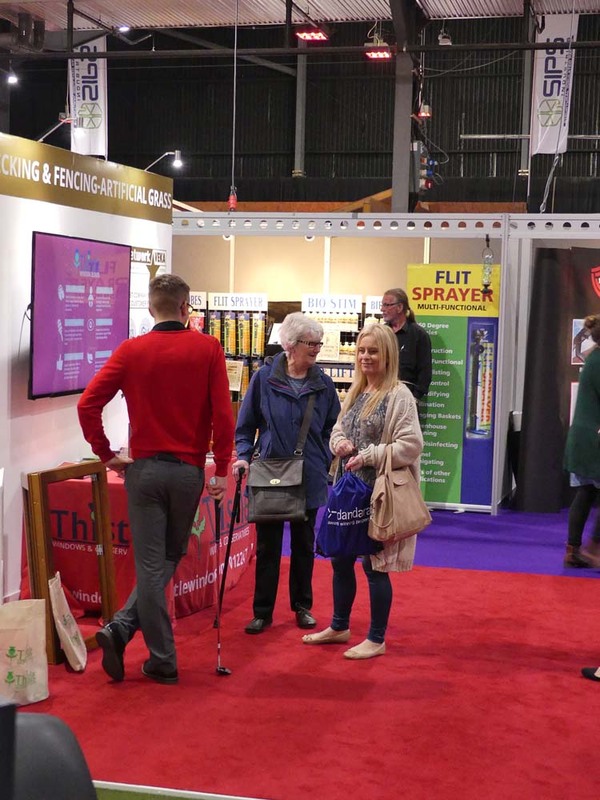 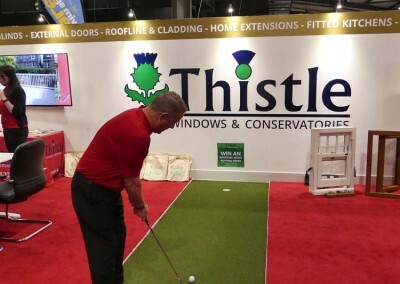 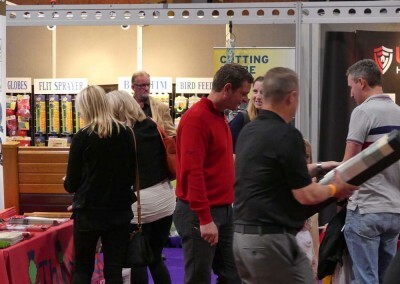 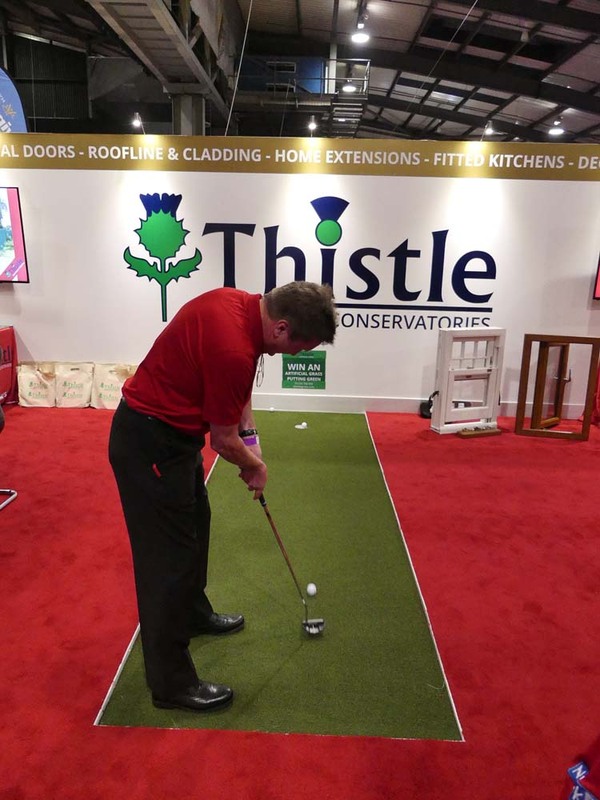 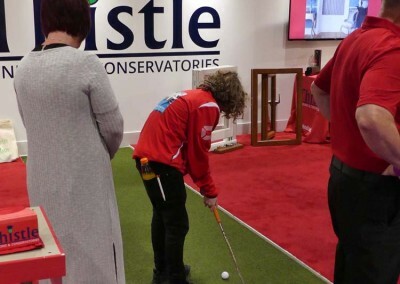 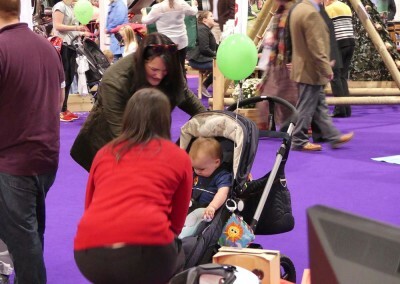 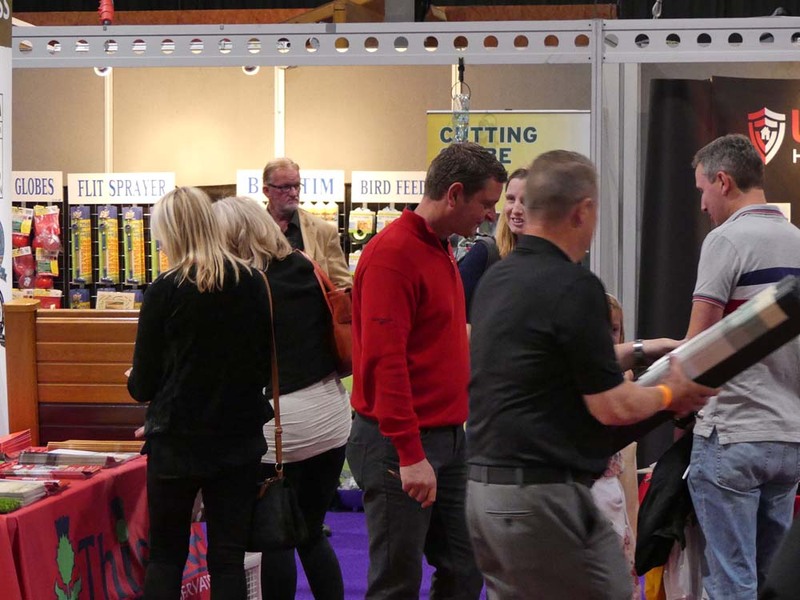 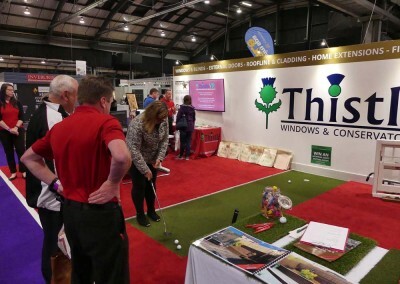 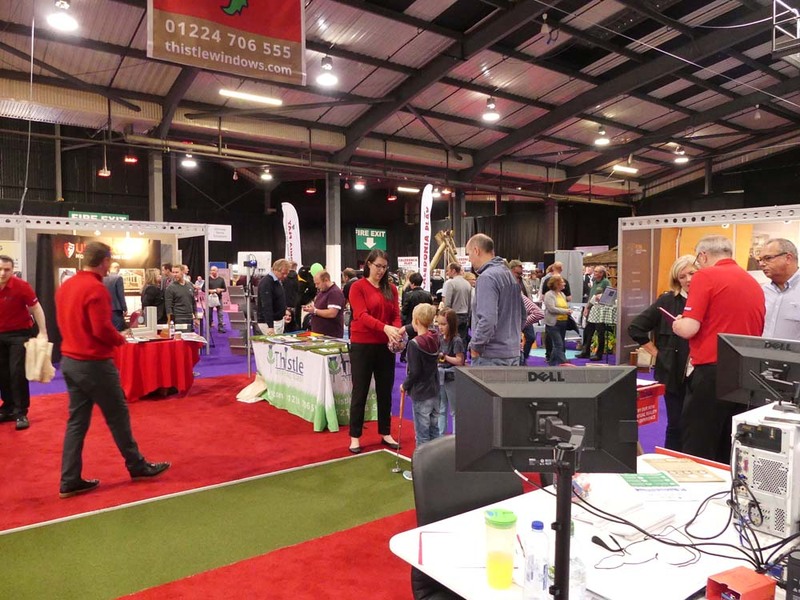 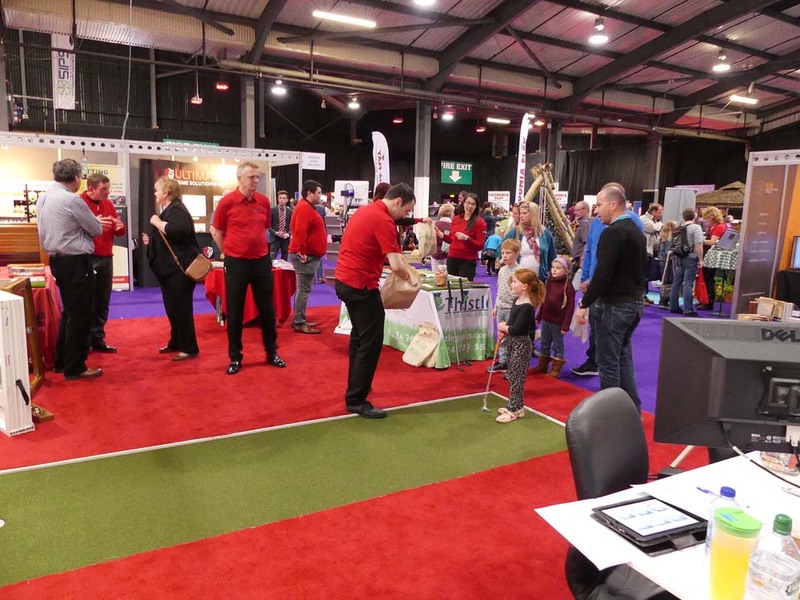 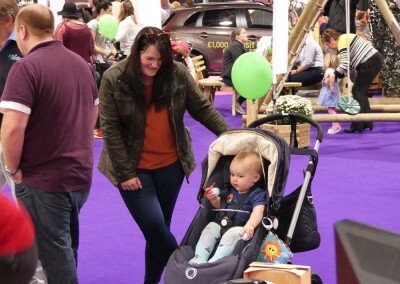 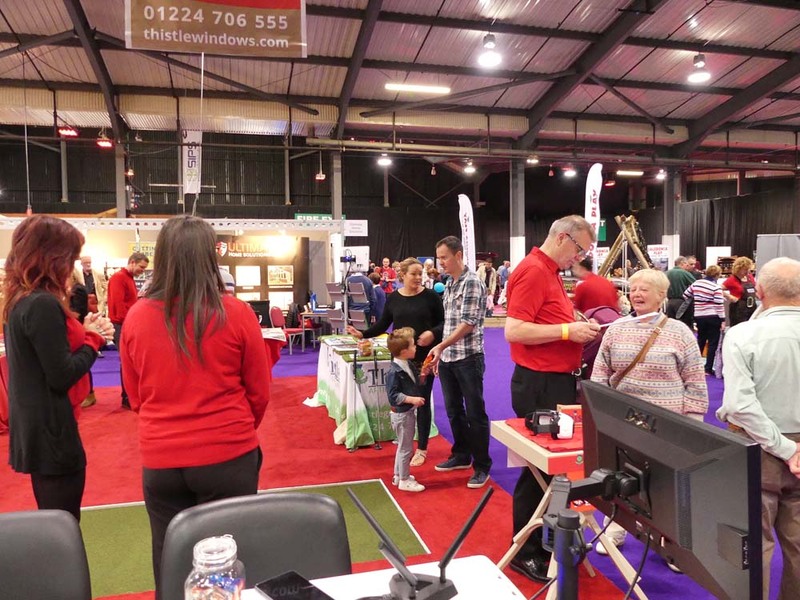 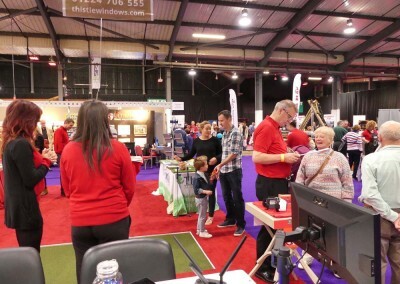 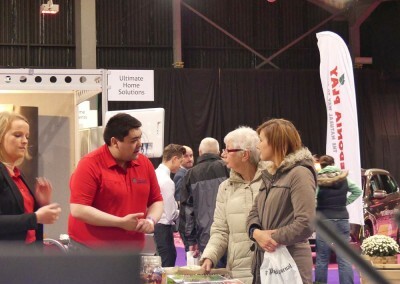 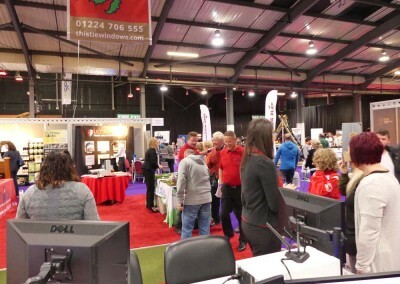 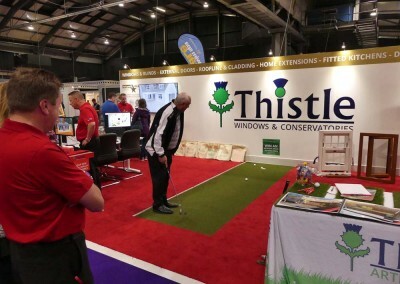 Things have changed a lot since our foundation as a company in 1995 and the Scottish Home Show was a brilliant opportunity to showcase our increasingly wide range of home improvement products and services. 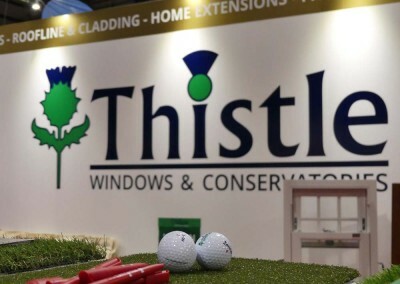 Thistle is now a “one stop shop” for everything from windows, blinds, doors and cladding to conservatories, multi-storey home extensions, low maintenance decking, fencing, artificial grass and fully fitted kitchens. 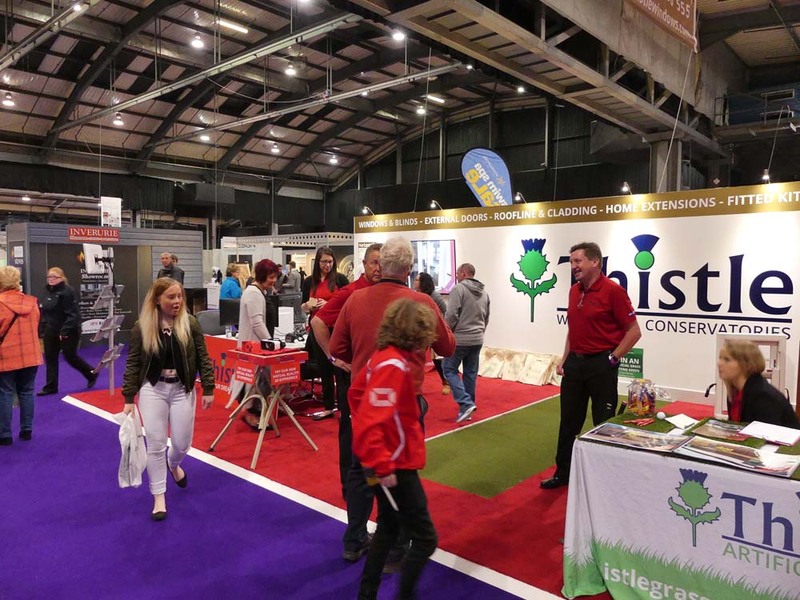 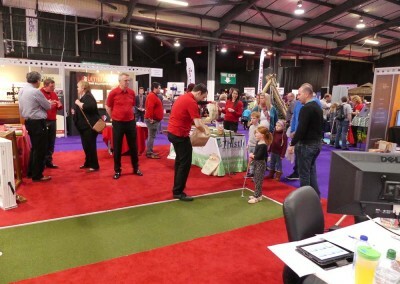 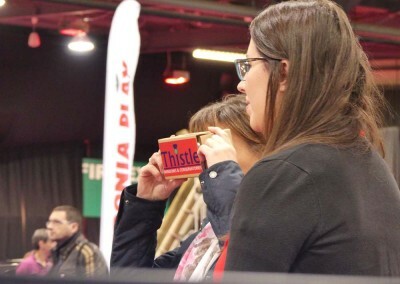 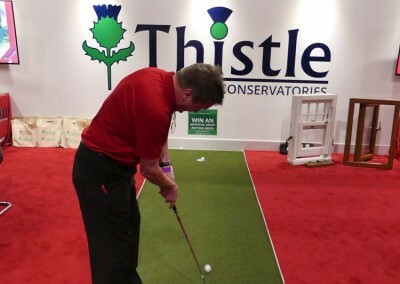 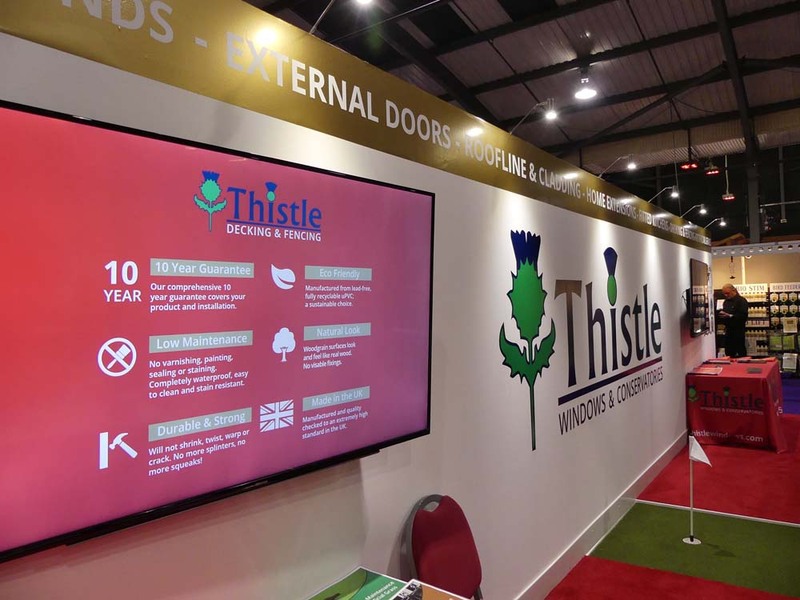 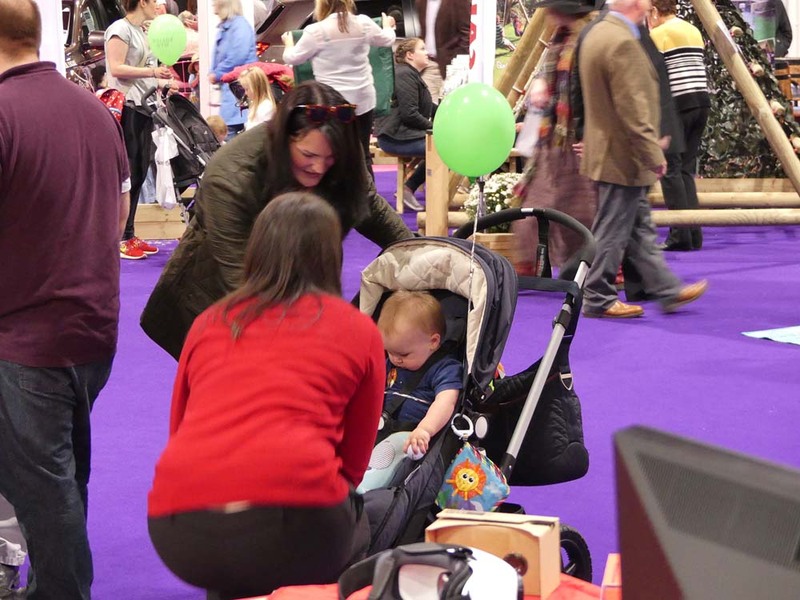 A brand new product for 2016, Thistle Artificial Grass received a huge amount of interest from visitors to our stand with a range of samples available to view and touch. 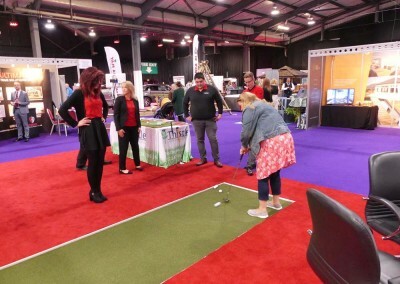 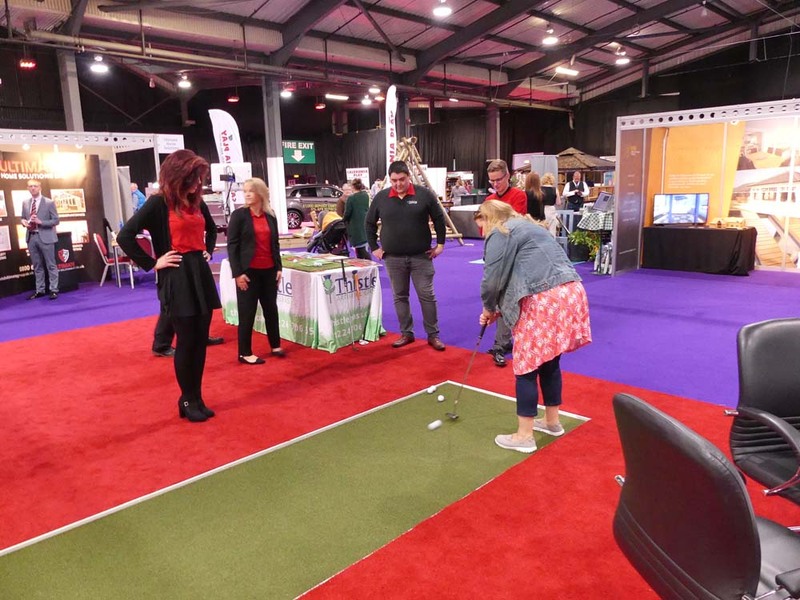 Many of our visitors also took the opportunity to put their golfing skills to the test on our artificial grass putting green! 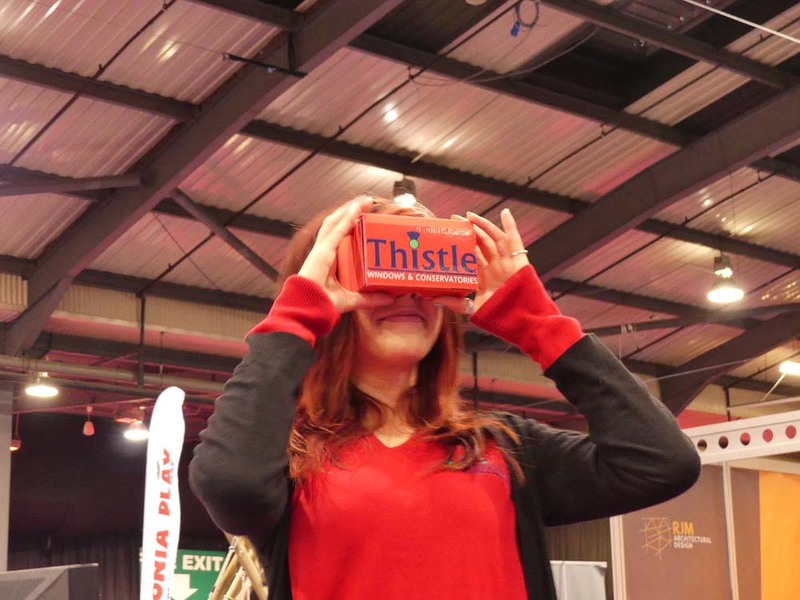 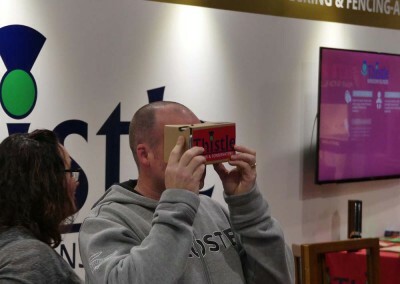 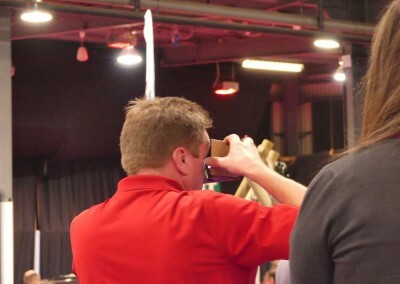 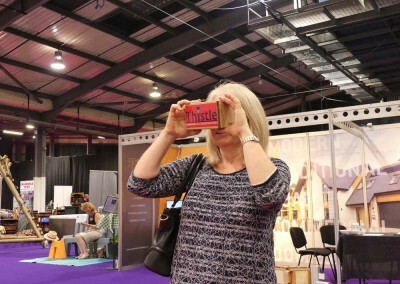 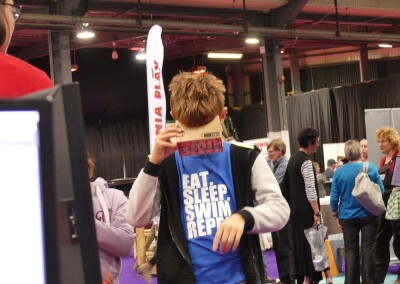 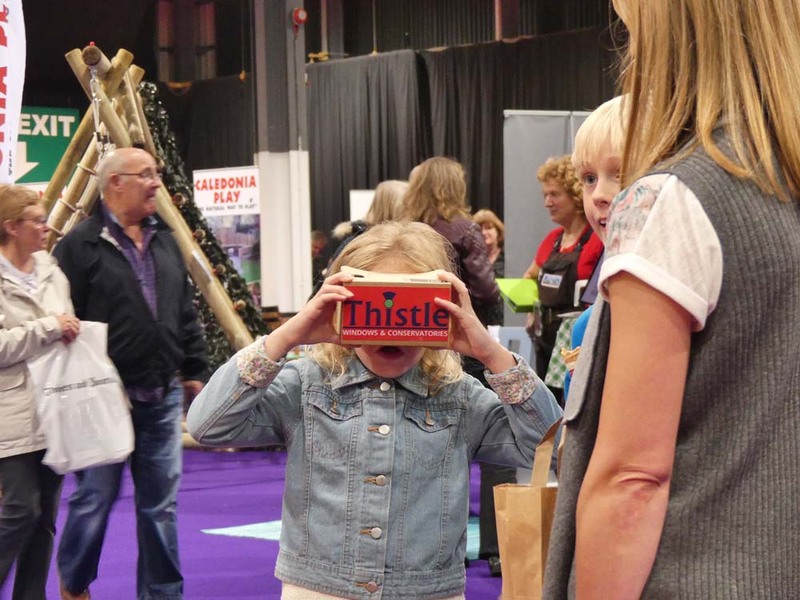 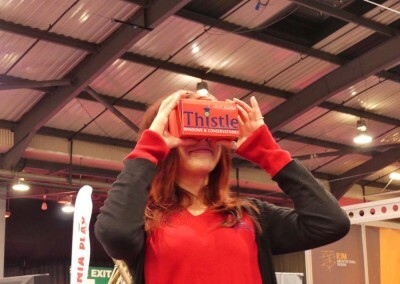 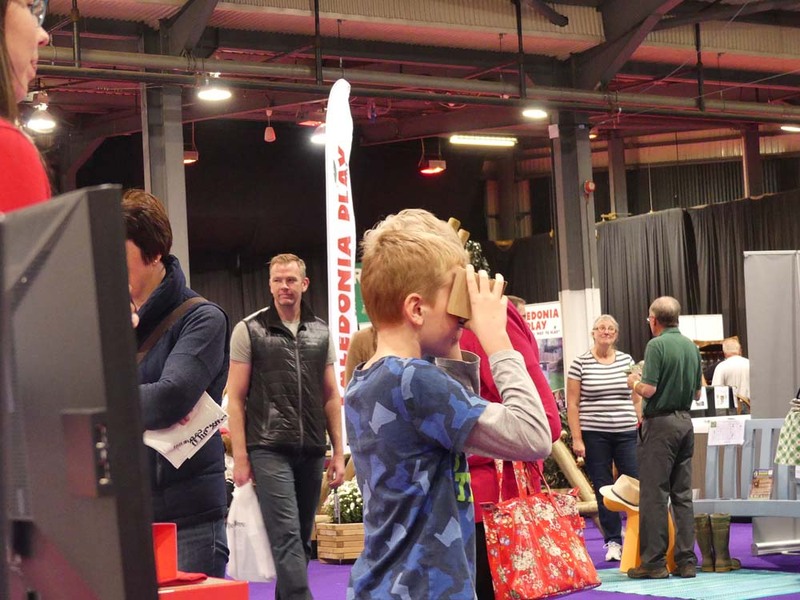 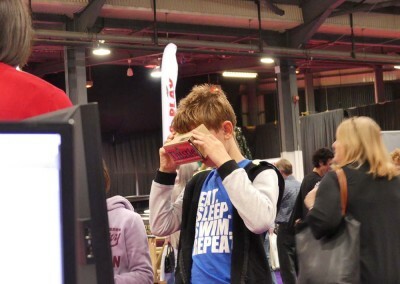 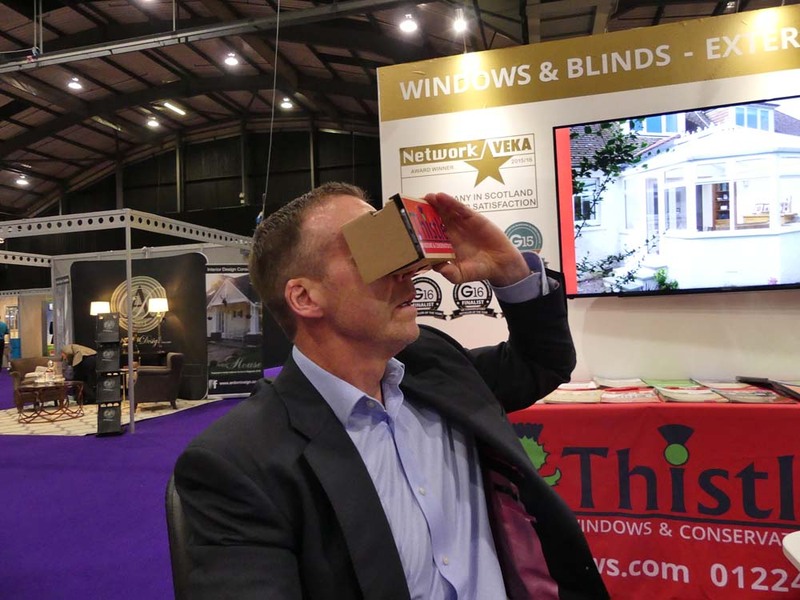 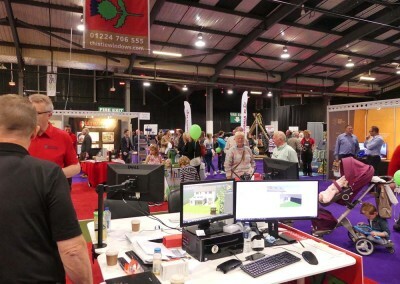 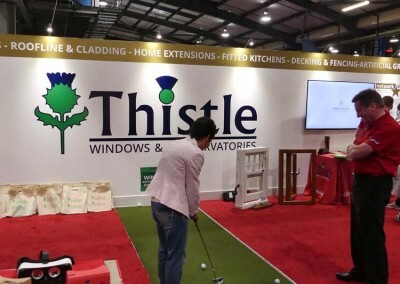 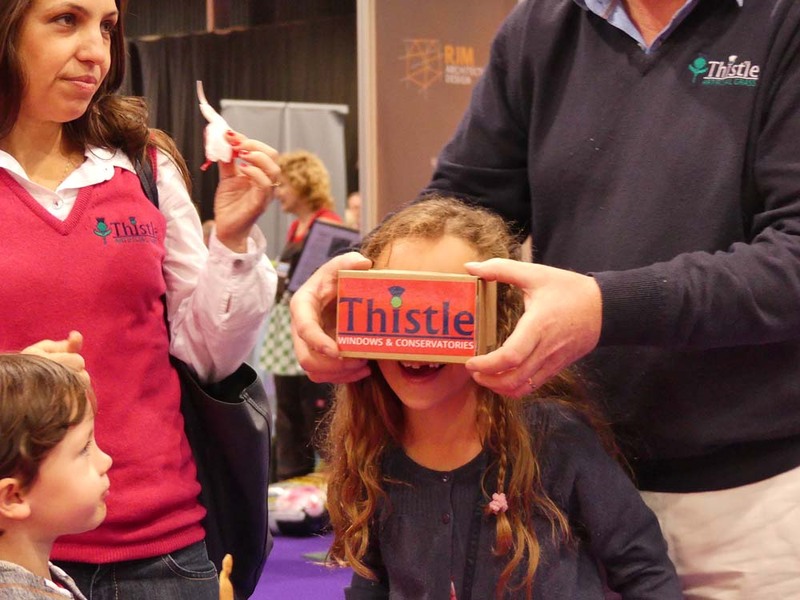 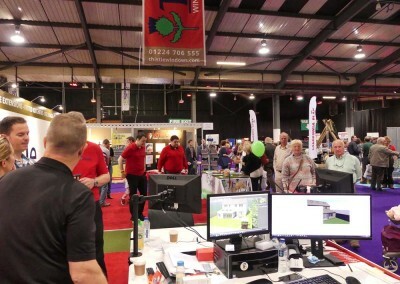 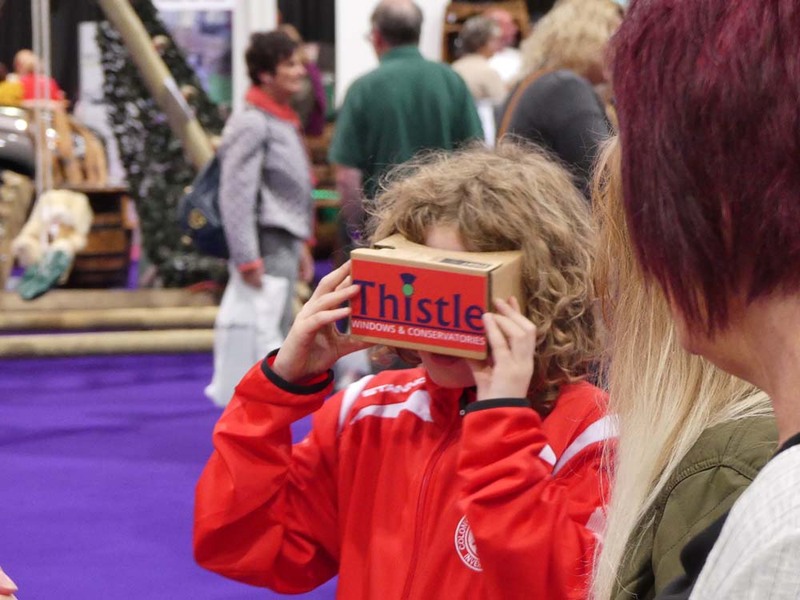 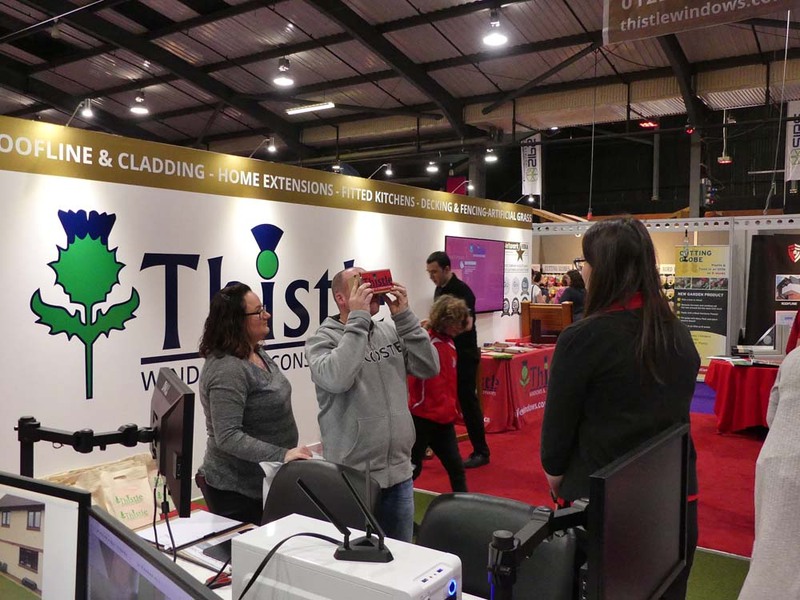 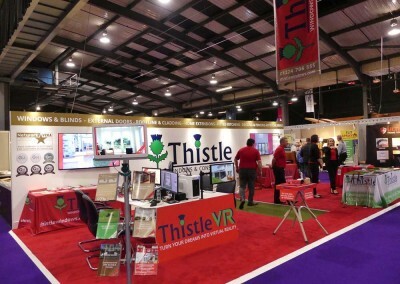 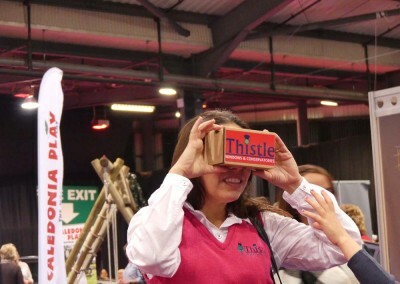 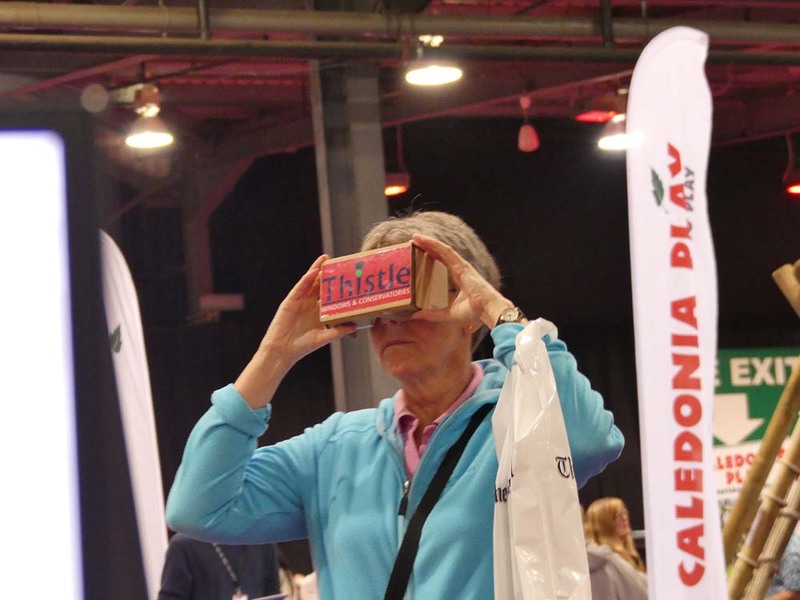 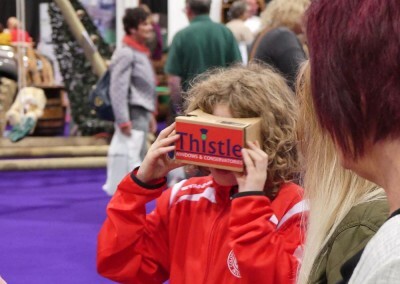 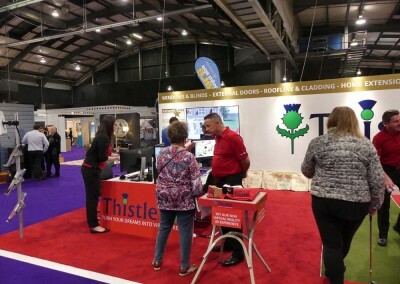 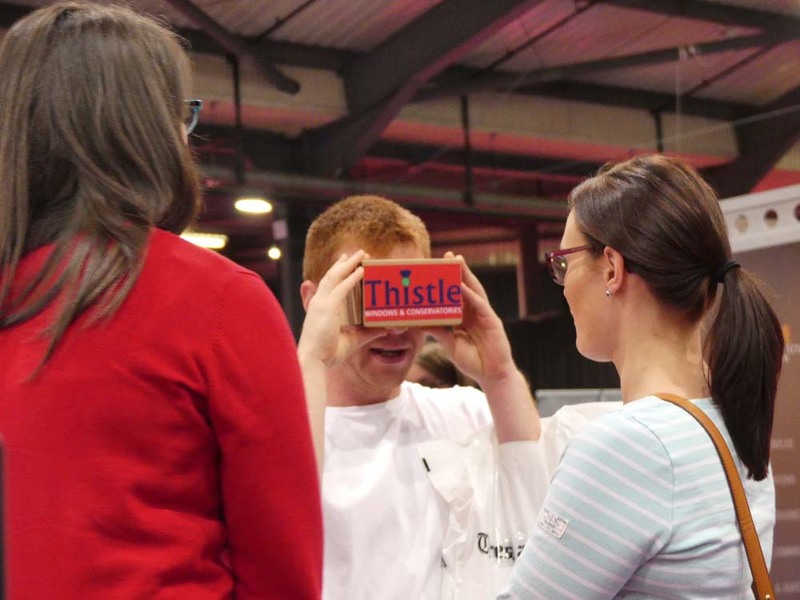 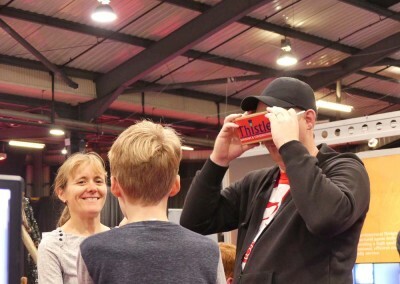 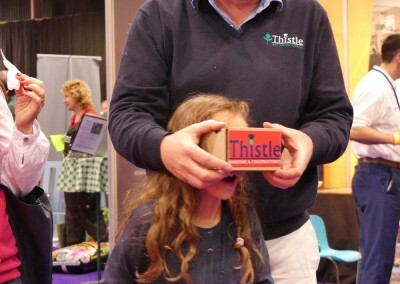 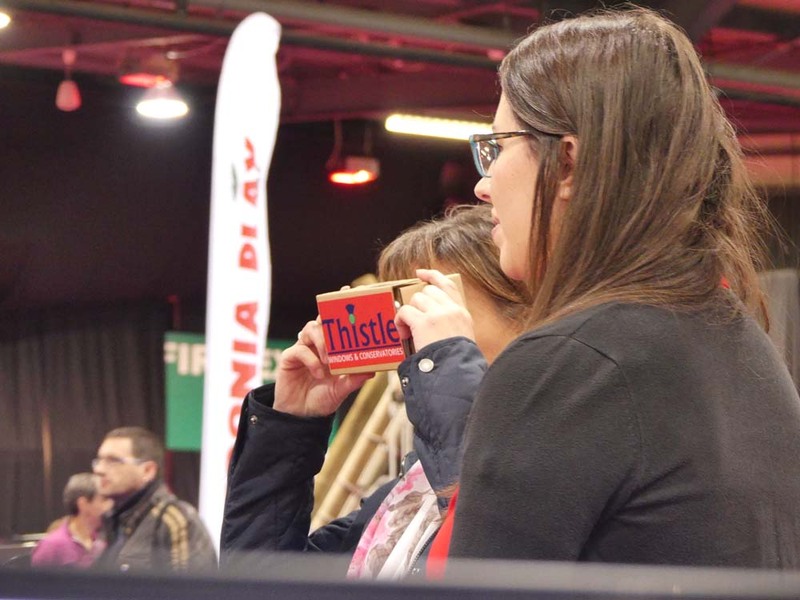 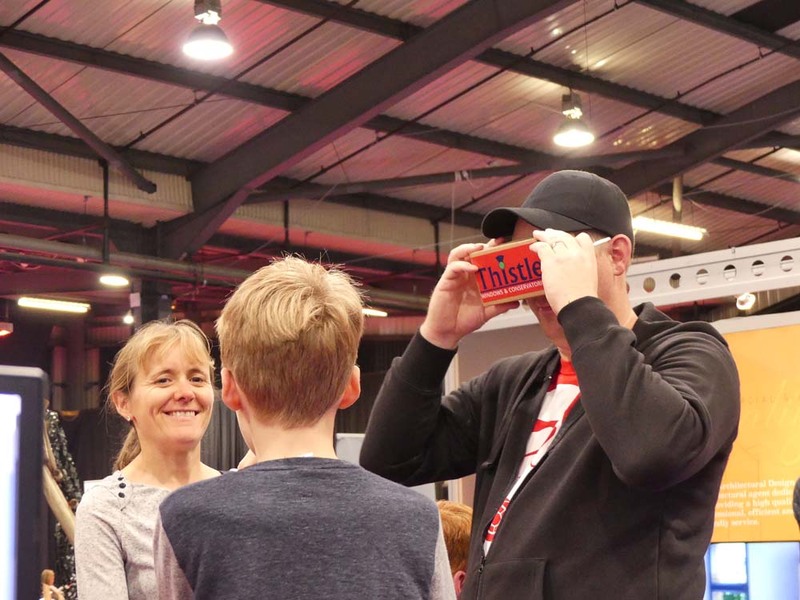 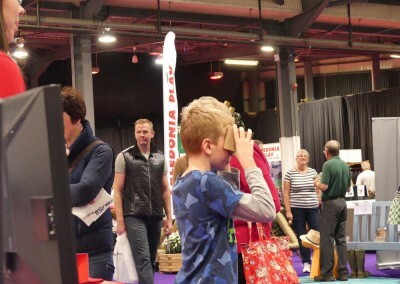 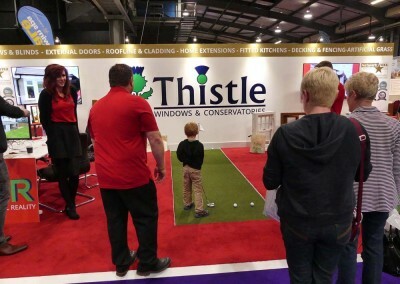 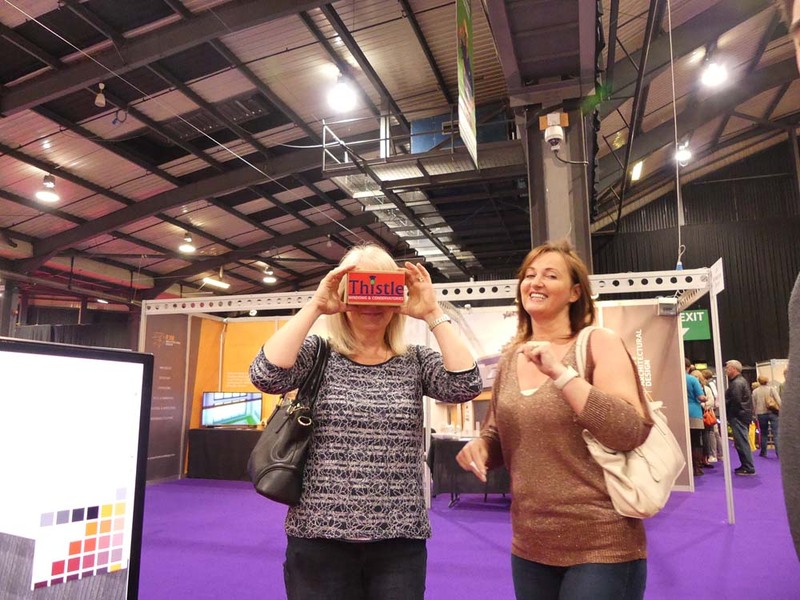 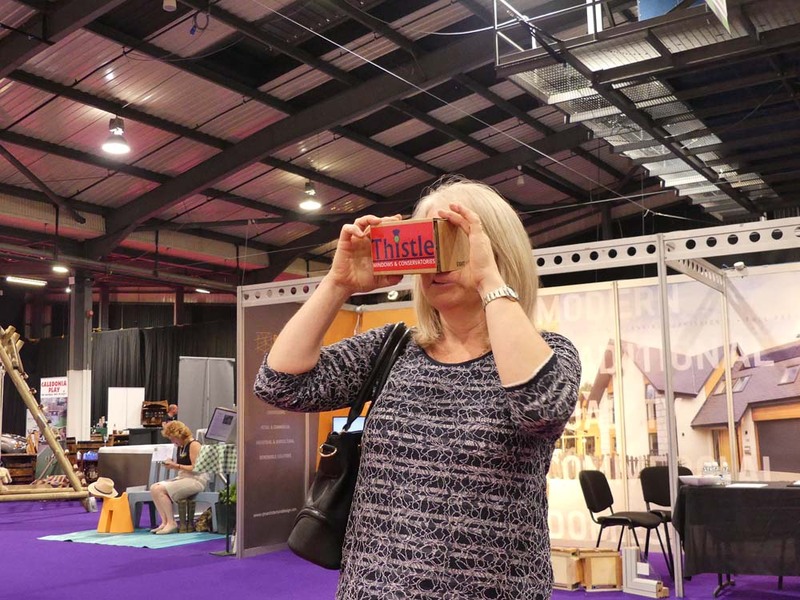 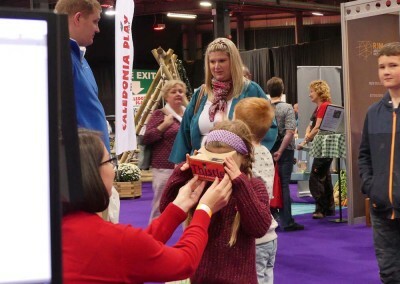 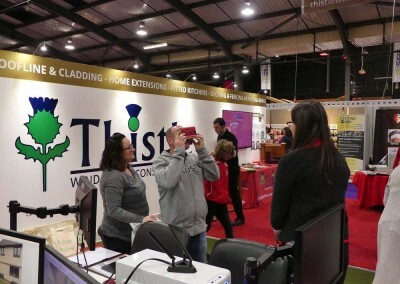 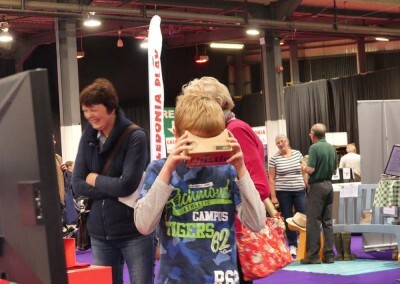 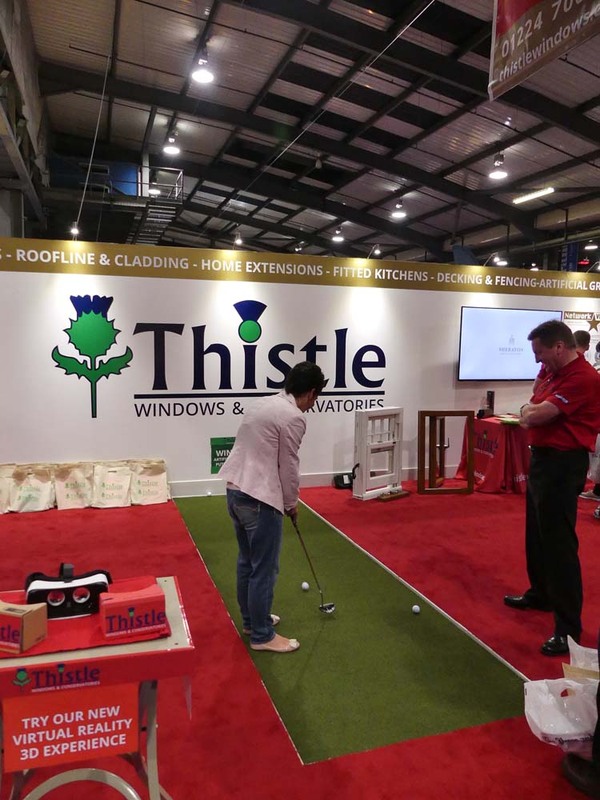 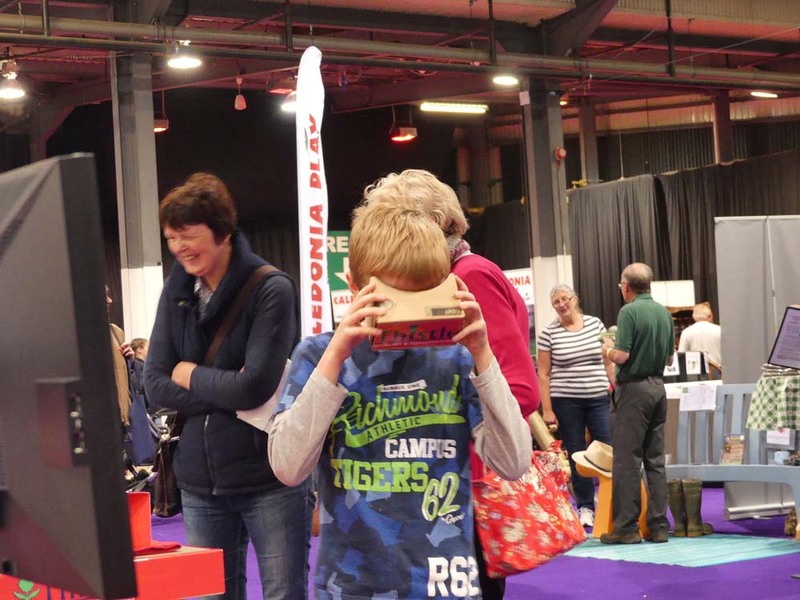 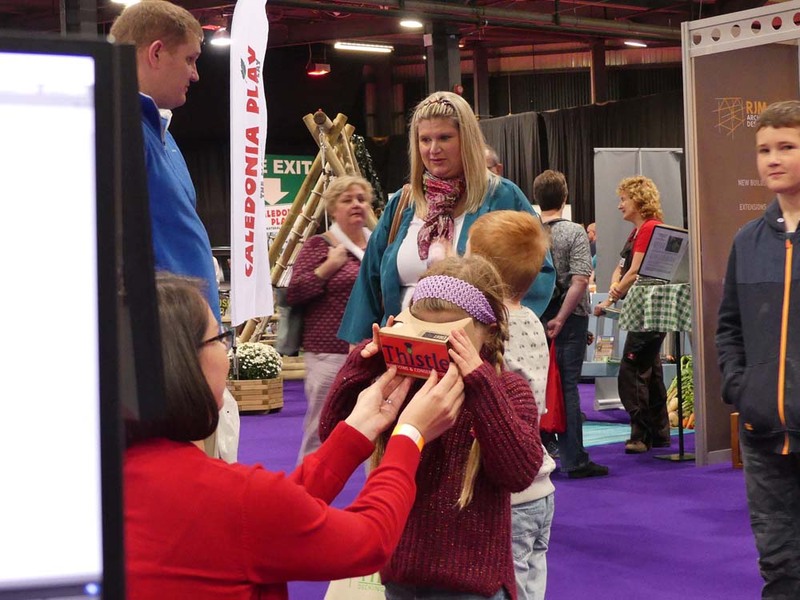 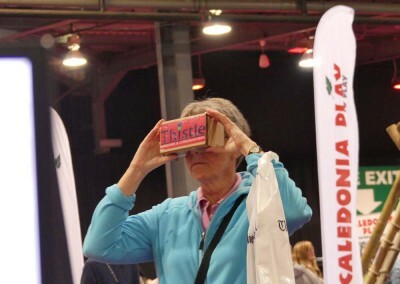 The Scottish Home Show 2016 was also an excellent opportunity to demonstrate our brand new, 3D virtual reality design capabilities with “Thistle VR”; an innovative new feature to our Home Extension Design Service that allows our customers to step inside their Home Extension project before it is even built. 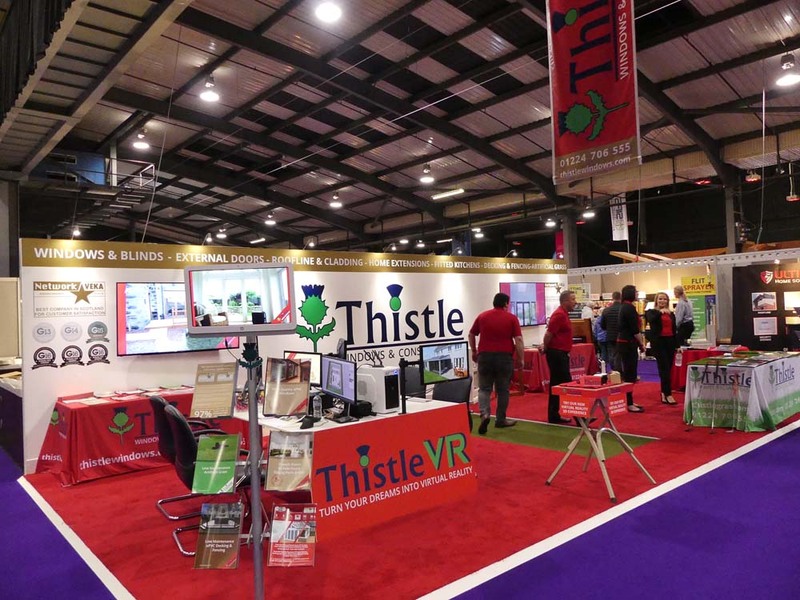 Thistle VR is just one of many continual additions and improvements we have made to our service to ensure that we are delivering the best possible customer experience – from initial project design, to final installation and beyond!